Family Hand Casting - Impressions Forever are specialized in Family Hands Cast and Family Hand Casting. Every family has a story to tell about family hand casting and which is original with the people that make it a family together. We frame the impressions of all those who live in the hearts of each other and call it a home, after all family is not an important thing, it is everything!! Family is where life begins and love never ends. It is all about sharing, caring, giving, forgiving and staying together. 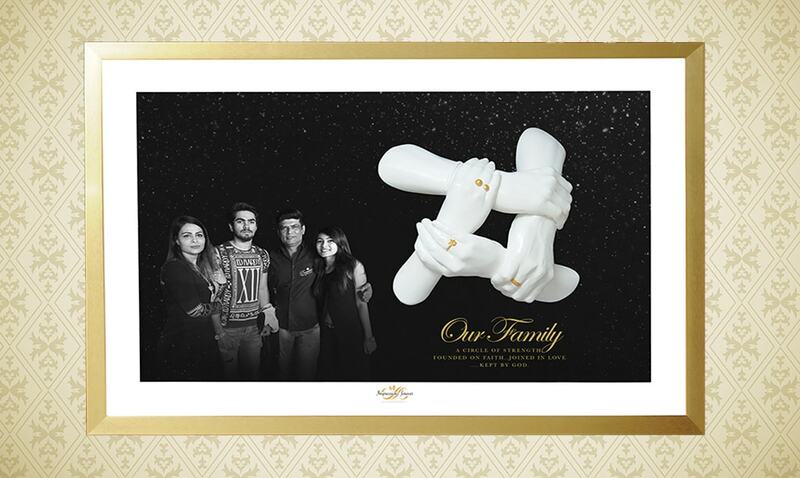 We give you an opportunity to make a beautiful sculpture or frame with the 3D family hand casting of hands of your lovely family. Its unique, its special and reflects the perfect bond you share with your loved ones.